Armored Sealcoating is proud to say we apply TWO premium coat applications to EVERY job, including residential and commercial seal coating projects. Most residential seal coating companies will only apply one brush coat on projects because two is more laborious and they feel only one coat is necessary. We like to ensure that our seal coating will serve its purpose for the longest time possible – so we ALWAYS apply 2 coats. This allows for maintenance every 3-5 years instead of the typical 2-3. Save money. Save Time. Save Hassle. AND Get Better Quality! Get a Free Quote on Residential Sealcoating! Your driveway affects the value of your house. Your satisfaction is how we judge the value of our company. Therefore our quality work on your residential seal coating job defines our value and we only accept the BEST. Check out our residential seal coating gallery to see some previous jobs we’ve completed or ask us for referrals. Proper sealcoating services will preserve your driveway. It improves curbside appeal, and more importantly, prevents against cracks and corrosion caused by water, sunlight, oxygen, and freezing temperatures. Sealcoating also makes your driveway easier to clean and resist oil stains. Choose a Qualified Seal Coating Company – your budget and driveway will benefit most when a reputable seal coating company is on the job. Our professionals will ensure your asphalt is treated at the right time with the best products. When to Apply Sealcoating – seal coating should never be applied to a freshly asphalted driveway. New driveways need at least 6 months to properly cure. 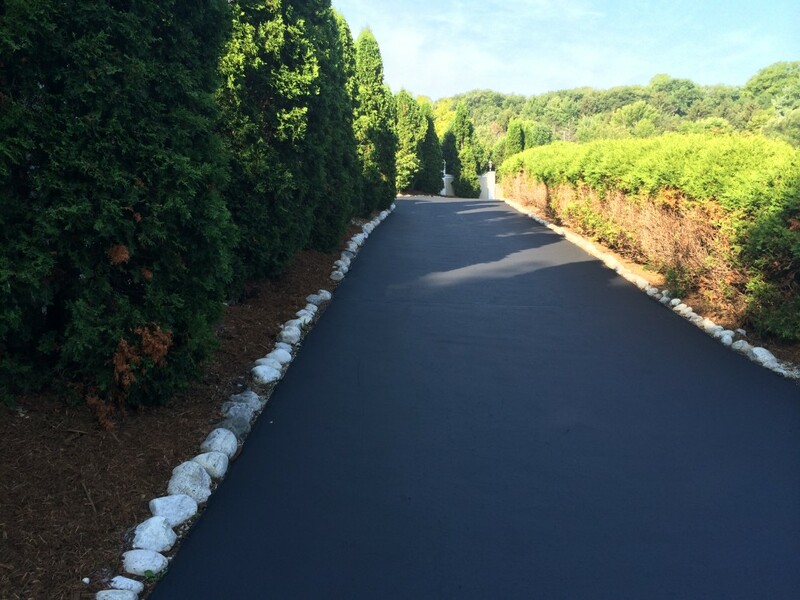 Depending on how well seal coating is applied, your driveway will need to be resealed every 1 – 5 years. The temperature and weather also play a major hand in your sealcoating application timeline. The temperature needs to be above 50 degrees and weather forecast predicting clear skies for at least 2 days. Is DIY Driveway Sealing Worth It? – it’s often not! Save your energy and avoid the stress of a DIY job by hiring professionals. You’re guaranteed a flawless, long-lasting outcome when Armored Sealcoating provides the service. Maintain your driveway and enhance your property with driveway sealcoating services from Armored Sealcoating. Contact Armored Sealcoating for your Free Residential Seal Coating Quote today. You’ll be glad you did!